13 inch headband and baby wing set in blue, silver and white. 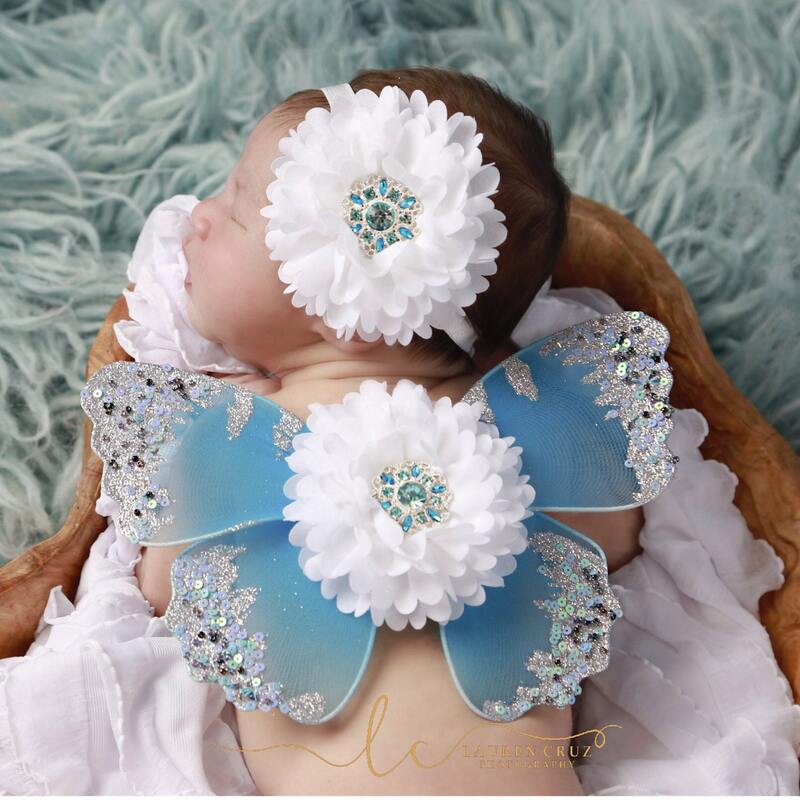 These wings lay on the babies back for photo props for newborn babies. Wings measure 8 inches by 5 inches. No straps.